Set your oven to BROIL on high. Wash and peel your potatoes [or leave the skin on for extra nutrients!] and cut into discs. I like mine the same thickness and texture as steak fries. Crunchy, crust-like outside and a fluffy mashed potato-like center. It makes me weak in the knees. Spritz or rub with your favorite oil [olive, coconut, etc...] and sprinkle with cayenne pepper, dried parsley, and a little salt and pepper if you'd like! Lay flat on a wire cooling rack or grilling rack and set atop a reflective baking sheet. This will allow both sides to cook evenly and prevent mushiness. I use this same tecnique for my mozz balls and squash fries too -- it's foolproof! Broil on high for 10-20 minutes depending on how "angry" your oven gets =) They're done once they start to bubble and turn golden brown on the surface. Pull from the oven, lay flat on foil or a baking sheet and pile on the cheese! Flip your oven to 350 and bake until the cheese is seductively melty. Then pile on the rest of your toppings and dig in! 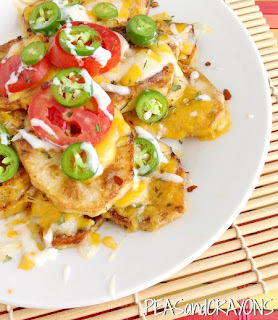 Irish nachos are one of the best foods you can try while your staying in Ireland. I have never missed this in any of my visits to Ireland. If you want to try something Irish in your house this is the item you should go for. Good wishes from https://www.chandlersboise.com/.